This workshop will provide an overview of the components of the conduct of interventional or observational clinical trials in cancer, with focus on breast cancer. Target audience: Advanced trainees, junior consultants or health care workers in the various disciplines delivering breast cancer care. This workshop will focus on the “grey areas” of pathology and will include the spectrum of lesions from Atypia to DCIS and Lobular Neoplasia, Spindle Cell Lesions, ER, PR and HER2 testing controversies, and the relevance of grade in the prognosis of cancer. Breast cancer prognosis: Is grade still relevant? This fascinating workshop will explore “The challenging patient” and how to manage them: those who refuse conventional treatment, present late with “denial”, want “over treatment”, go “doctor shopping” or repeatedly miss appointments and then present in crisis. We will address maximising treatment acceptance; working with patients within the limitations of agreement and minimising patient and clinician stress. What is the role of Dr Google and what legal obligations do we have? Why you should attend: Everyone has had these patients – and their numbers are increasing. You need to be prepared how best to work with these patients and this workshop will help equip you for this. Target audience: All who manage breast cancer. This workshop will highlight some challenges faced by clinicians managing breast cancer in resource poor locations both within Australia and in our region. We will hear from the surgeon setting up a first BC service in our nearest neighbour East Timor – where there is no mammography, pathology or opioids! As well as the challenges in our most populous neighbour India and in our own backyard in our remote and indigenous populations in Australia and New Zealand. Why you should attend: whether you are motivated to help women facing BC and their clinicians in developing countries or offer better outcomes for indigenous Australians and New Zealanders, this workshop will allow you to share ideas and experiences and make contacts which could make a real difference to those most vulnerable with breast cancer. Target audience: All those who manage women with breast cancer. 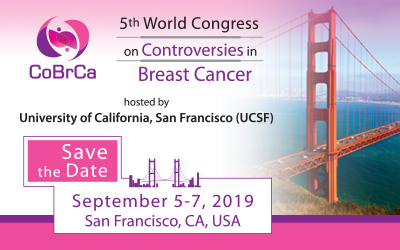 This workshop promises to be an excellent opportunity with world-renowned international radiation oncologists in breast radiotherapy teaming up with local radiation oncologists and drilling down into three controversial topics in breast cancer management. Target audience: Trainees and practicing clinicians who manage patients with breast cancer in multidisciplinary settings. A look at some of the difficult and controversial aspects of breast cancer diagnosis including appropriate breast imaging, uncertainties in pathology, investigating a new breast lump, and deciding when surgery or observation is best for the patient. This is an interactive workshop, and audience participation is encouraged. Appropriate breast imaging – when, where and why? Surgery – to cut or not to cut? When is observation better for the patient? To register for one or more of the workshops, please visit the registration page.